Download Guns, Gore & Cannoli 2 (2017) for Mac OS. 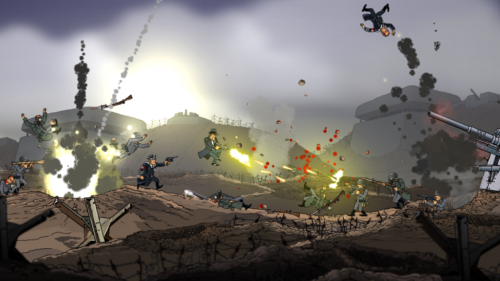 New 2D shooter with platforming elements developed by Claeys Brothers and published by Crazy Monkey Studios. 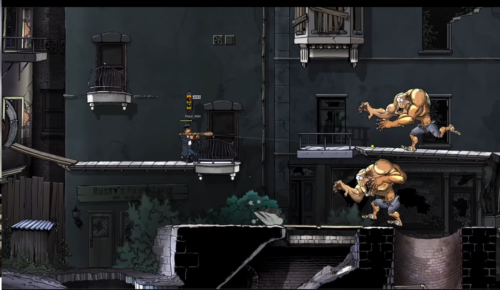 Guns, Gore & Cannoli 2 is a sequel to the 2015 game Guns, Gore & Cannoli. Both games were developed by the Belgian studio Crazy Monkey. Once again, we play as the mobster Vinni Cannoli. Fifteen years have passed since the Thugtown city massacre. Mysterious affairs from the past forced our protagonist to go to Europe, right in the middle of the Second World War. There, we will have to deal with our problems in the most traditional way – kill everything and everyone in our way. Our job is to get from one end of the map to another, eliminating our enemies along the way. We will be facing gangsters, soldiers, zombies, and mutants.